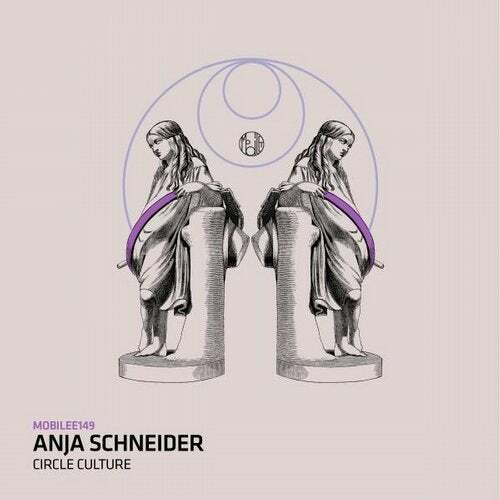 https://www.facebook.com/anjaschneider Mobilee bosswoman readies her first EP of 2015, with the superb 'Circle Culture' EP. The three-track release includes a heady, hiplashing techno injection by Konstantin Sibold & Leif Muller, who impressed with last year's 'Kolibri' on Cocoon. To many observers Anja Schneider enjoyed arguably the finest year of her already impressive career in 2014; two stunning EPs, a hectic summer touring schedule that saw her more in demand than ever and that debut Essential Mix that still gets talked about in hushed tones. This year hasn't seen any sign of her slowing down however; the perpetual motion machine keeps creating, inspiring and pushing forward with all the passion of an artist very much at the peak of her career. 'Circle Culture' is a further expression of this and very much indicative of Anja's creative purple patch, feeling as free as ever to pursue what's in her head and heart whenever she goes into the studio. Warm, dreamy and hypnotic, 'Circle Culture' has been an exquisite highlight of Anja's set since being debuted last month, with its spine-tingling break sending collective shivers down the backs of dancefloor occupants - especially those with a penchant for late '90s techno vibes. 'The Squaring' has tension and release on lock, grabbing you with an exotic lick of melody that builds towards a crescendo as kicks and high hats are gradually added to the heady sonic brew. A tension-filled break gives way to a pounding techno pay-off making it a perfectly punchy compliment to the EP's A-Side. The release is capped off by a strong re-work of 'Circle Culture' from Konstantin Sibold & Leif Muller that injects a peak-time dose of techno into the original.